The Minnesota Twins are quietly one of the most intriguing teams in baseball heading into the 2019 season. After surprising everyone with a Wild Card appearance in 2017, they fell back to earth last year, finishing 78-84. But with the Indians potentially vulnerable in the AL Central, can the Twins pull off another surprise by challenging for the division title or will they fall short yet again? There’s a new face atop Minnesota’s rotation, and it’s Jose Berrios. The 24-year-old already has 29 big league wins under his belt, including 26 over the past two seasons. The Twins are banking that he will continue to get better and breakout as a reliable ace at the top of their rotation in 2019. If that ends up happening, the Twins may turn into a genuine threat in the AL Central. Just in case, the Twins have reinforcements in Jake Odorizzi and Michael Pineda. Odorizzi was a little bit of a disappointment in his first season in Minnesota last year, but the Twins know he’s better than what he showed last season. Pineda, meanwhile, will finally be back on the mound after having Tommy John surgery in July 2017. He should be far enough removed from the surgery to be a reliable starter. Veteran Kyle Gibson is also coming off one of his best seasons and should provide the Twins with some solid depth. From there, it’ll be up to Minnesota’s younger pitchers to determine how good the Twins are this year. Adalberto Mejia posted modest numbers in 2017 but started to show serious improvement last year before a wrist injury ended his season early. The Twins are also high on fellow lefty Stephen Gonsalves despite his struggles in his first taste of the majors last year. Those two give Minnesota’s rotation some serious upside moving forward. A third young lefty, Lewis Thorpe, also has a chance to establish himself as a back-end starter in Minnesota’s rotation. Naturally, the bullpen is a little bit of a question mark for this young Twins team. The closer’s job is wide open at the moment. Based on last year’s performance, Trevor May and Taylor Rogers are the two front-runners if the team wants to have a designated closer. However, Addison Reed is also an option, bringing 125 career saves to the table, although he posted modest numbers in Minnesota last season. Beyond those three, the Twins still have some good options coming out of the bullpen. Veteran Blake Parker was brought in after he saved 14 games for the Angels last year, so he’s someone who can be trusted in the late innings. Trevor Hildenberger also has a little experience as a closer, even if his 5.42 ERA last season left a lot to be desired. The likes of Fernando Romero and Matt Magill provide the Twins with even more depth, which should be enough to make their bullpen at least middle of the pack. Offensively, the Twins need to do better than they did a year ago, but they also addressed their lineup over the winter. Of course, they already have a young core of position players in place who they hope will improve. The biggest key will by Byron Buxton, who was once the top prospect in all of baseball. He finally showed flashes of breaking out in 2017, but last year was a disaster for him, in large part because of injuries. The other X-factor is Miguel Sano, who is still just 25. Sano was exceptional in 2017 but struggled so much last year he was sent to the minors. 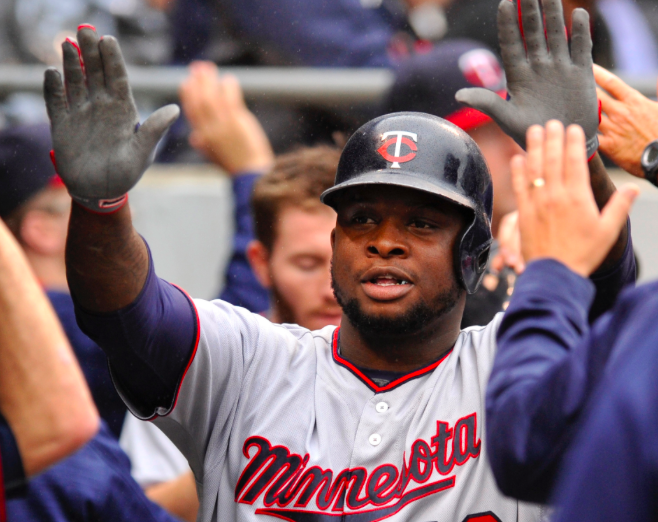 If Buxton and Sano can perform this season, there’s no telling how good the Twins could be. In hopes of helping out their young stars, the Twins signed Nelson Cruz to be their full-time DH this season. Cruz gives Minnesota a veteran hitter and someone who’s averaged over 40 home runs per season over the past five seasons. The club also added first baseman C.J. Cron, who hit 30 home runs last year, and super-utility man Marwin Gonzalez, who can fill just about any need that might pop up this year. Minnesota is also taking a chance on second baseman Jonathan Schoop, who was dreadful last year after being an all-star with the Orioles in 2017. He’s a potential difference maker if he can have a bounce-back season. Finally, there’s Minnesota’s contingent of youngsters. Eddie Rosario has quietly become one of the most consistent left fielders in baseball the last couple of years. The Twins also signed both right fielder Max Kepler and shortstop Jorge Polanco to long-term extensions this past winter. Both have proven to be solid contributors, and if Minnesota’s off-season signings can live up to their billing, they will be perfect complementary pieces in 2019. After a busy offseason, the Twins will be fascinating to watch in 2019. If everything falls into place, they have a legitimate chance to challenge the Indians atop the AL Central. Alas, they don’t have the same kind of high-end talent as Cleveland, especially in the starting rotation. Even if the Twins can beat up on the weaker teams in the AL Central, it’ll be hard to keep pace with the Indians over 162 games. Look for the Twins to finish 84-78 in 2019, which is a nice step forward for them, but it won’t be enough to get them back to the playoffs.